The foggy windows, musty odor and the clammy feeling on your skin – you know monsoon is here. Humidity is in its full swing these days in Pakistan and it sure doesn’t plan to subside anytime soon. Recent studies have shown that humidity levels negatively impact the mood of a person. 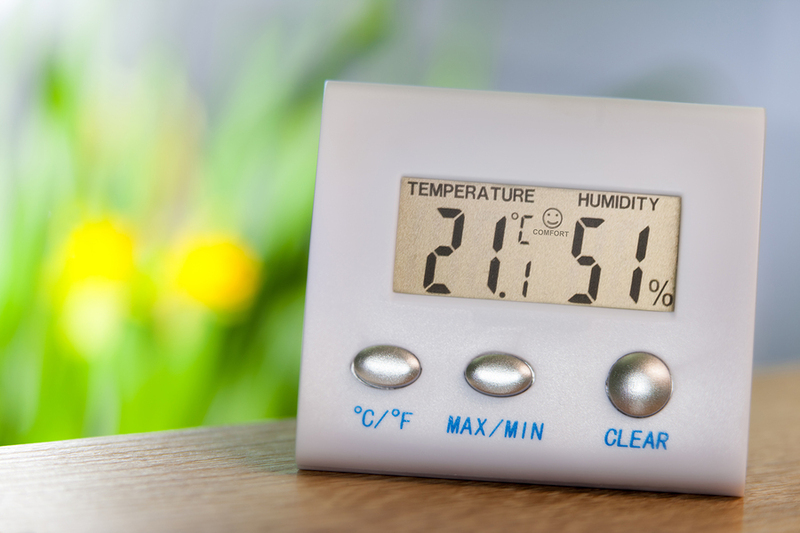 A humid atmosphere at your home will aggravate both physical and mental stress levels. We can’t really do much about the weather, can we? So how do we tackle this? Evidently our inclination is to keep the air conditioner switched on round the clock, but unfortunately that isn’t quite feasible keeping into consideration the power outages and soaring electricity costs in our country. Though some scenarios might require more drastic measures, let’s look into a few practical solutions that are comparatively achievable and can make a noticeable difference. The first and foremost thing you should do is, ensure your home is well-ventilated. Identify the spaces where most moisture is formed, especially the kitchen and bathrooms and make sure exhaust fans are functional in these areas. Check that all exhausts and fans vent air outwards. Do keep in mind that certain household chores such as cooking, laundry and showering also contribute to the moisture in your home. If a specific room of your home doesn’t have a ventilation fan, you can keep its windows open to dry the air out. Research studies show that it takes only between four to six pints of water to raise the humidity level inside a room of 1,000 square feet from a mere 15% to 60%. Do remember humidity levels are also affected by the number of people present in a room. Your shower regime can actually affect the humidity level of your room! Modern house designs in Pakistan are now incorporating low flow showerheads which help a great deal in minimizing moisture produced during a shower. If you are using a traditional showerhead, do not fully open the tap and the low-pressure stream will do the trick. We all love to eat and half of the day at our homes, our kitchen burners are sizzling. Humidity or not, we can’t give up on the scrumptious delicacies right! Electronic kitchen hoods are just perfect for Pakistani households. Traditional wooden conduits are not as effective in venting out moisture as their electronic counterparts. Some of us like using humidifiers at our homes. While it may be a great addition round the year, monsoon season isn’t a fan. Humidifiers can make moisture even worse during this season, hence it is best to avoid them during monsoon.